A new “Second Generation Initiative” was launched in Alachua, Florida – the Western World’s largest ISKCON community – on Saturday October 17th, and is generating a lot of energy and excitement. 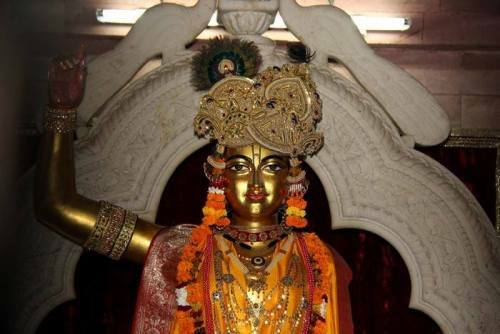 Although the words “second generation” often refer to those born into the Hare Krishna Movement, the initiative aims to help all 25 to 45-year-olds who attend Alachua’s New Raman Reti temple, regardless of how they came to Krishna consciousness, to find balance and inspiration in their lives. It also aims to facilitate succession. via ISKCON News: New Alachua Initiative to Help Second Gen and Facilitate Succession. Several ISKCON devotees contributed to the Parliament of the World’s Religions – the largest interfaith gathering in the world – this year, with kirtan, japa, and an introduction to the Bhakti philosophy. The first Parliament was held in 1893 and is recognized as the birth of formal interreligious dialogue worldwide. It wasn’t held again until one hundred years later in 1993, but has been held every five years since then. 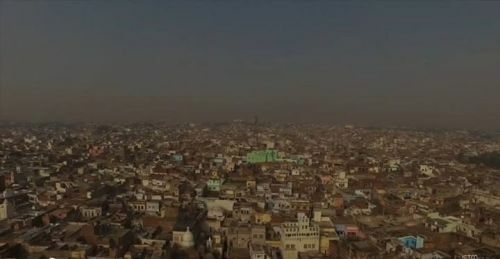 Indradyumna Swami: By the mercy of the Lord our second Kartika parikrama took us to the city of Mathura, where Lord Krsna appeared 5,000 years ago. In a beautiful and spacious temple we discussed the glories of Mathura as revealed in the Brhat Bhagvatamrita, by Srila Sanatana Goswami. After kirtan we wandered the ancient quarters of the city discovering many old temples. Devotees were particularly impressed with two large Deities of Lord Varaha, who have been worshipped since the dawn of creation. 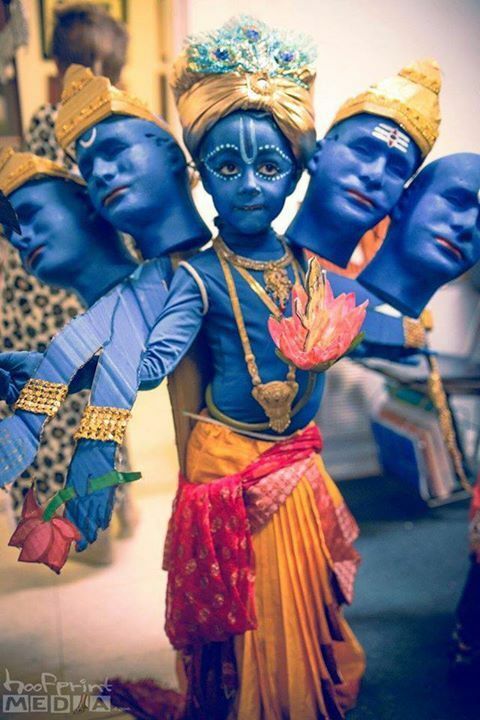 Every year the TKG Academy gurukula, of ISKCON Dallas, hosts a Fall Festival of devotional costumes, dramas, and kirtan. Long hours of preparation and enthusiasm by both the students and their parents and teachers, make for an amazing day glorification and fun. All glories to their service! All glories to Srila Prabhupada! Deena Bandhu Das: Rare pic of Sriman Mahaprabhu from Radhakunda as no pujari was there to stop us! All glories to Narottama dasa Thakura, the beloved disciple of Lokanatha Goswami. How the illustrious Narottama took his birth in the house of Krishnananda Datta, the elder brother of Sri Purusottama, I dare not discuss elaborately here. However, for your pleasure, I shall give a brief description. 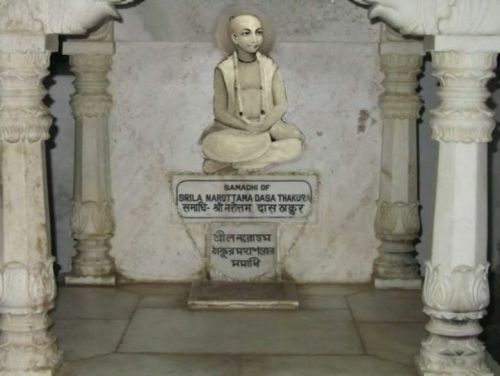 One day while Chaitanya Mahaprabhu was dancing with his associates during sankirtana, He suddenly looked in the direction of Sri Kheturi village. A peculiar look appeared on His face, tears whelmed up in His eyes, and He cried out the name “Narottama! Narottama!” again and again. The ocean of mercy Nityananda Raya shouted in joy, and Haridasa, Vakreshvara, and others were inexplicably filled with happiness.